Dr. Daniel :: Dr. J. Edward Daniel, D.M.D. graduated from the University of Alabama School of Dentistry in 1998 and is a Member of the Academy of General Dentistry, the American Dental Association, the Alabama Dental Association, the Birmingham District Dental Society, and the National Foundation of Dentistry for the Handicapped Donated Dental Services. He has been practicing dentistry in the Birmingham community since 1999. - Yolanda and Donica are the first ones you’ll meet when you come in to our office. With several years of experience between them, they operate as our Practice Administrator and Office Manager respectively. They are happy to handle your scheduling, insurance, and billing questions. - Beth Ann is also at the front desk, but her job is probably the toughest in the office–also known as Mrs. Daniel, Beth Ann’s primary job is to handle Dr. Daniel. Beth Ann is who really makes Dr. Daniel smile. - In our clinic, you will meet our Registered Dental Hygienist, Keri. 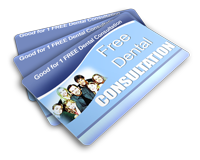 She is highly qualified, friendly, and experienced in the art and science of Dental Hygiene. You will not find a nicer hygienist anywhere. - Elizabeth and Courtney are Dr. Daniel’s assistants, his right and left hand. They bring years of experience and friendly personalities to make your visit comfortable, quick, and pleasant. We are truly blessed to work with ladies like these. We know you’ll feel the same way. © 2019 Daniel Family Dentistry. All Rights Reserved.